I’ve been a fan of Tom Bihn packs for many years and when they sent me The Hero’s Journey I quickly realized it is a culmination of many of the incredible things they’ve created over the years. When Christine or I travel, our go-to bag is almost always the Aeronaut. Add to that a light, removable, internal frame sheet with an aluminum stay, a removable top that converts into a shoulder bag or backpack, and gear it more towards backpacking or traveling Europe and you have a new bag called the Hero’s Journey. To kick off testing we loaded the car and head out on a hike to the Opus Hut. The Hero’s Journey is nothing if not versatile. During this trip we wore it all zipped up, without the Daypack, with the Daypack, as a shoulder bag and everything in between. Tom Bihn created a new removable, padded hip belt that is super comfy, even while scrambling up 800′ of scree with 30 pounds of gear. 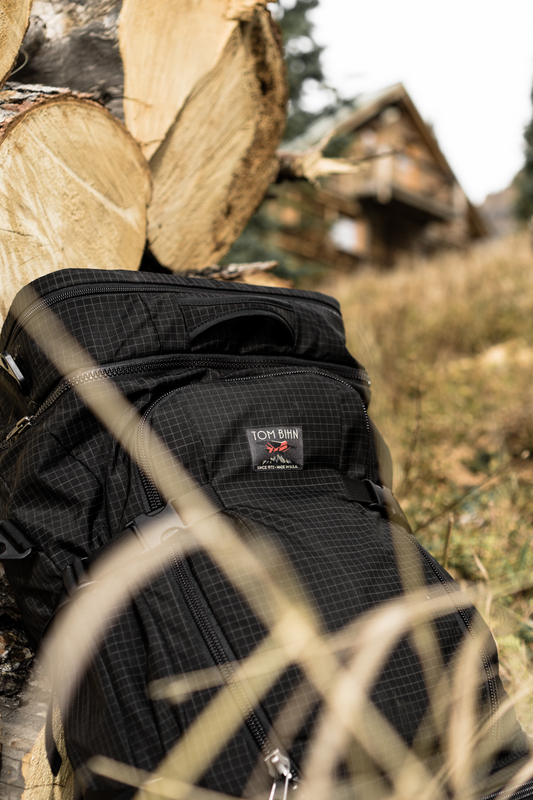 Unlike a traditional top-loading backpack, everything is loaded from the front of the pack. This makes packing and finding what you need a breeze. 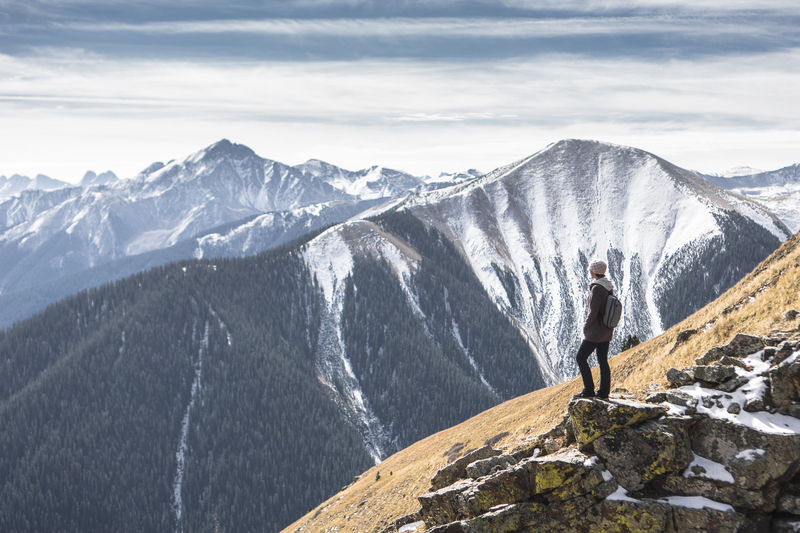 In all we spent three days in the San Juan mountains of Colorado, putting The Hero’s Journey through the riggers of the backcountry. Now, you may be wondering how a bag designed to work so well in the mountains of Colorado does traveling throughout Europe. Well, I put that to the test too and jumped on a plane with my 10-year old daughter, Amanda, and landed in Naples, Italy. 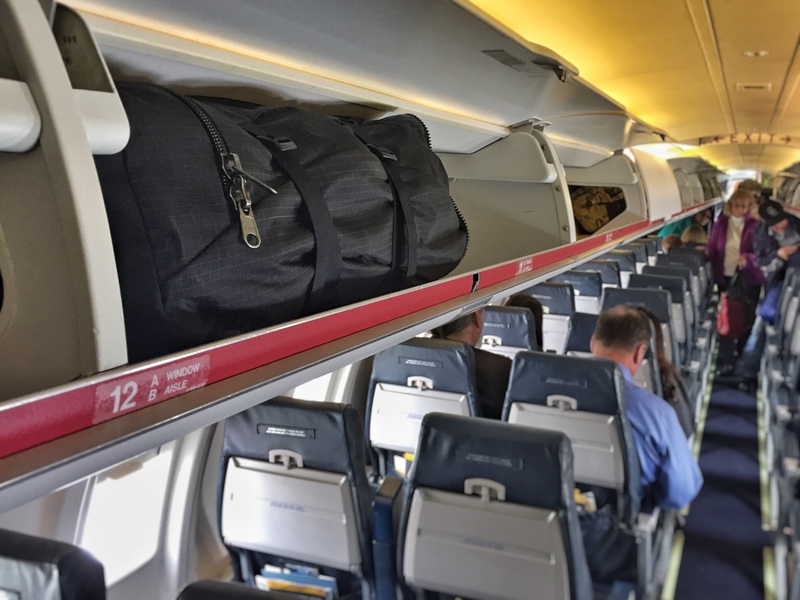 Check out how nice the bag fits in the smallest of overhead compartments, here on a United Airlines CRJ 200. We zipped off the top of the Hero’s Journey and converted that into a backpack so Amanda could have all of her books and entertainment handy for the long flights. The main bag was stowed above our heads and carried all of our clothes and toiletries for a week in Italy. After arriving in Naples I found it very handy to convert the Daypack into a shoulder bag. That made it easy to stow my camera when I wasn’t using it and to change lenses quickly by swinging the bag around front. 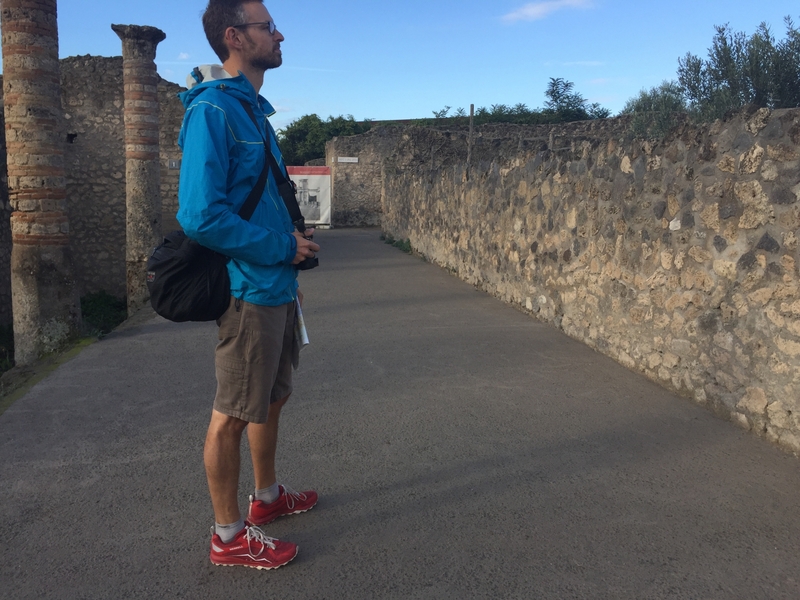 Here I am checking out the ruins of Pompeii. Here’s a video from our apartment where I talk about how I used the bag in Europe. Mt. Vesuvius made for a nice background but poor lighting. Tom Bihn nailed it with The Hero’s Journey and Christine and I will be fighting over it on every trip we take.